It really has been a while! My apologies! Anne and I have both been very, very busy! Anne is so busy with work and I am still dealing with an injured hip so she has taken on a lot more responsibility. We have some barrel races coming up this Fall and she has been so kind to exercise my horses for me. We have been a team since the womb and we will always be, plus we are pretty good at it!! We really balance each other out perfectly. Even though I can’t physically ride right now, I have taken over the role of the the horse groomer. haha! I tack one of the horses and then she takes that one and goes out to ride. I tack the next one, she comes back from exercising that one and gets another one, I take that one, untack, hose off, and do that three more times. So I am off to ride my precious horses and enjoy every second of it! 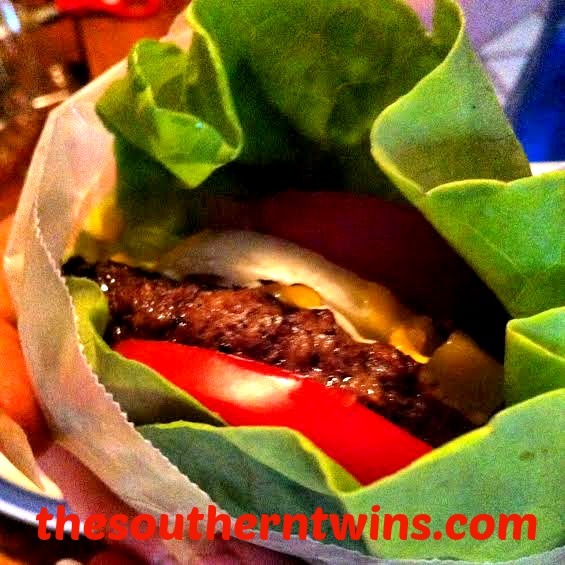 Here is a pic of a paleo burger I made yesterday. My favorite. I wrap big butter lettuce leaves around it and then wrap everything in parchment paper to hold it, works great! I like my burgers super juicy, so this keeps it from being so messy. 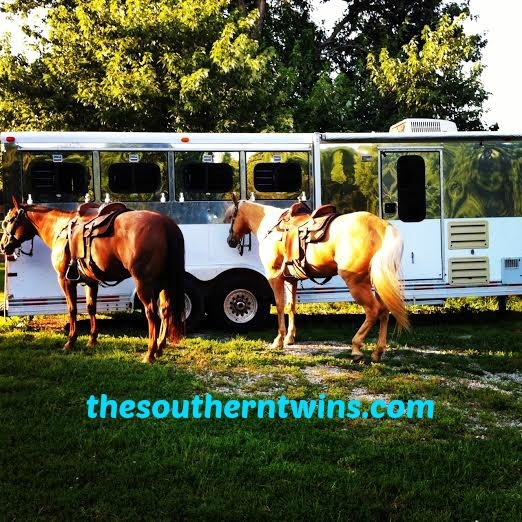 This entry was posted in Day To Day, Recipe and tagged barrel horse, barrel racer, barrel racing, fitness, gym, health, healthy, horses, paleo, twins. Bookmark the permalink. Glad to see a post from you. I had wondered if my computer did something and I wasn’t getting them!! Hope you are “painless” soon!! Thank you, Marcia!! I hope to be painless soon as well. Have a great week!! Excited for you Leigh to get back in the saddle!!! You 2 are so inspiring!!! !